In the waning light of November 14, 2016, the tugboat Nathan E. Stewart was finally lifted from the chilly water off British Columbia’s Athlone Island—32 days after it ran aground on its way south from Alaska. When the tug struck the rocks on Edge Reef shortly after 1:00 a.m. on October 13, it was pushing a 10,000-tonne-capacity fuel barge. The barge was empty, but the tug still leaked about 110,000 liters of diesel and more than 2,200 liters of engine lubricants into the waters near Bella Bella, a town of 1,450 people in the traditional territory of the Heiltsuk First Nation. Strong winds and high tides pushed the fuel across Seaforth Channel and into Gale Creek, the site of an ancient Heiltsuk village, polluting critical marine habitats and harvesting sites. For many people outside the community, it was just another media story—a snapshot of a tragic event from a remote place. For locals, the spill lives on in myriad ways, with authorities still feeling the effects of a months-long drain on already strapped financial and human resources, and fishers unable to harvest manila clams and other species that may have been contaminated. In the six months since the spill, Heiltsuk officials, with help from biological consulting firm Pacificus, have been testing for contamination in soil and water samples, and in specimens from a range of species, including clams, kelp, and rockweed. The results, which are still unclear, will determine whether economically and culturally important fisheries can finally reopen. “This happened in about the worst possible place it could in our territory,” says Housty. The spill affected dozens of marine and intertidal species that Heiltsuk people harvest for both income and sustenance. As they wait for test results, Heiltsuk leaders are also grappling with two outstanding issues: that very little is known about the long-term effects of diesel spills in marine environments; and that no agency—not industry nor government—really seems capable of containing, let alone cleaning up, fuel spills in these ecosystems. Shortcomings in the spill response, especially in those first few days, were widely acknowledged. Deficiencies in Canada’s marine spill response capabilities have long been apparent. Even before the accident, the federal government had been gearing up to release its Oceans Protection Plan (OPP), which promises to tackle many of those issues. With CAN $1.5-billion in funding over five years, the OPP, which was announced a few weeks after the spill, vows to improve marine safety, protect ecosystems, and increase engagement with indigenous communities throughout coastal British Columbia. “The Heiltsuk said they should have had some [emergency response] capability of their own, and I agree,” says Girouard, adding that plans to further engage coastal First Nations were well underway before the spill. There may have been intentions to better incorporate coastal nations in disaster planning before the spill, but when the Nathan E. Stewart went down, Housty says Heiltsuk leadership had to push to get a spot on the unified command team. Ultimately, they joined the Canadian Coast Guard, the BC Ministry of Environment, and Kirby Corporation, the company that owned the tug and barge, to coordinate the spill response together. The Heiltsuk also insisted the command post be in Bella Bella, at the band office, and that all boats have at least one Heiltsuk person on board to offer local knowledge to responders working in unfamiliar territory. Heiltsuk leaders were highly critical of the spill response, and they have since released their own exhaustive investigation into the incident, which may be used in potential lawsuits. But the Heiltsuk are also focused on restoring the community, and working with the coast guard and others to be ready for future disasters. With up to 50 families unable to harvest and the long-term health of critical food sources at risk, the Heiltsuk initiated a series of monthly meetings with the coast guard and other agencies to discuss post-spill concerns. The ongoing talks are revealing a more holistic, interdepartmental strategy that’s not only improving relationships, but may prove to be a more effective approach to dealing with future spills. To build on that momentum, the Heiltsuk, the coast guard, and others are planning a symposium in May to outline their lessons learned, with hopes that it will lead to improved spill response for the entire BC coast. The Heiltsuk have long opposed tanker traffic through their territory, and have pushed to formalize the federal government’s current moratorium on oil tanker traffic along BC’s north coast. That said, the Heiltsuk, along with other nations and conservation groups, have pointed out the ban would not apply to boats traveling through Canadian waters on their way between the contiguous US and Alaska. And the ban only bars vessels carrying more than 12,500 tonnes of oil. The Nathan E. Stewart was exempt on both counts. As the spill near Bella Bella makes clear, even smaller fuel leaks can have major effects on coastal ecosystems and communities, and the most effective spill response will not prevent some or even most of those negative effects. 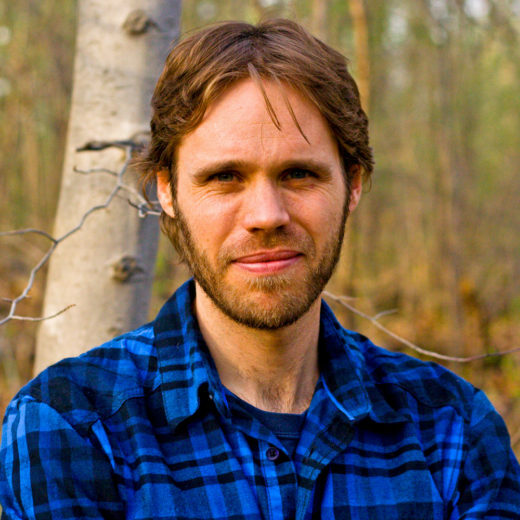 Fraser Los is a Canadian writer and editor with a focus on environmental issues. Cite this Article: Fraser Los “The Lingering Legacy of the Nathan E. Stewart,” Hakai Magazine, Apr 10, 2017, accessed April 25th, 2019, https://www.hakaimagazine.com/news/lingering-legacy-nathan-e-stewart/.